Etihad Airways recently reported its annual results for 2018. The results highlight the continuing challenges for the airline as it addresses elements of its fleet, network and profitability. These are important for its transformation program. While there was a 4% increase in passenger yields, the impact on overall revenue was not significant. On the cost side, the airline was able to drive a 3% reduction in unit costs, despite 31% higher fuel prices. The transformation still has a fair bit to go. For Etihad, this was the third billion dollar plus loss in as many years. As of now, the airline continues to rationalize fleet and network further while attacking the cost base. The marketplace dynamics including weakness in overall yields and the onslaught of low-cost carriers is not helping much. Costs of $416 million were taken out including 5% of the overhead labour costs. Yet, with a capacity adjustment of 4%, the total cost base only went down by 3%. Keep in mind this excludes one-off costs that have not been reported. For the airline to deliver on its turnaround plan, it needs to address costs drastically while improving the quality of the revenue further. 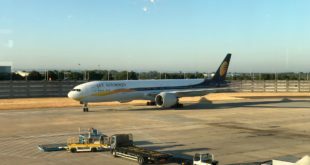 This means a focus on the premium traveller who in the recent past has not been too thrilled with the service cuts effected by the airline whether this is the elimination of the chauffer drive, cost-cutting in the lounges or the onboard product. 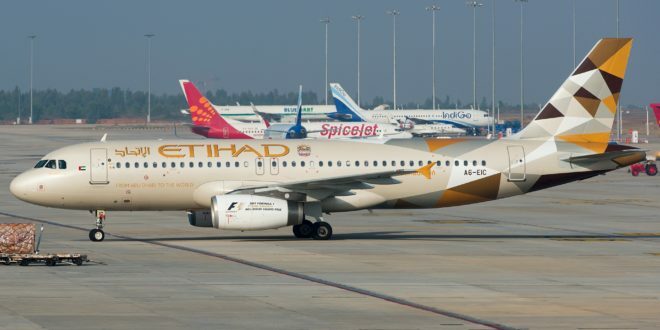 The challenge Etihad faces with downsizing is that it offers less connectivity than its Middle East peers while also battling the low-cost carriers. For instance, the year saw Etihad dropping routes to Tehran, Jaipur, Entebbe, Dallas, HoChi Minh, Dhaka, Dar-es-Salaam, Edinburgh and Perth. Sources indicate that these cuts did not go deep enough. Some of the markets such as Jaipur and HoChi Minh are ones where it is not feasible to compete with LCCs cue to cost base differences. Other markets such as Entebbe and Dar-es-Salaam are money spinners for competitors as they are able to consolidate greater feed (number of passengers) into their central hubs and then connect to cities. As the airline continues along its turnaround plan, the overall network structure will have to be revisited. But that is easier said than done as the structure involves balancing items of cost, connectivity and cyclicality. A very challenging situation indeed. The crowded and unorganized terminal at Abu Dhabi airport. Etihad’s initial ambitions focused on being a global carrier that could offer an unparalleled via their equity alliance strategy that was based on buying equity stakes in carriers around the globe. Yet as several of their partners saw financial challenges, and equally, due to the Abu Dhabi airport expansion that was unable to keep up with the frenetic pace of expansion – the total product proposition was not in favour of Etihad. Put simply, it was just more convenient to transfer in Dubai or Doha as compared to Abu Dhabi. And the premium travellers voted with their wallets. The implementation of the turnaround plan at Etihad from 2017 continues. The challenge the management faces is that there are several complex dynamics all of which are having impacts to the airline. Whether it is the liquidity in capital markets, the aircraft production cycles or the traffic impacts due to Brexit, the situation in Qatar or the US-China trade dispute – all of these have an impact to the airline. For profitability, Etihad either has to get a significant bump in revenues including the premium revenue and/or get a drastic reduction in costs. It would seem that currently, the cost reduction is a focus in the core transformation. But this is very challenging and requires an iterative approach. For instance, on fleet alone, Etihad flies 106 aircraft with 5 different types. But looked at from a cost angle, this fleet includes nine variants which impact the spare storage and pilot utilization. There are four engine providers and various lease and purchase contracts which likely have different stipulations and financing structures. To get through all of that and affect a compelling cost reduction requires time and effort. And this is just one of the elements. Overall, continued rationalization is likely to continue for some time. Previous Lufthansa Group orders 787s and A350s. Will start retiring A380s.